KDS Electric is a Chicago based commercial electrical contractor that specializes in parking lot pole lighting installation and repair. 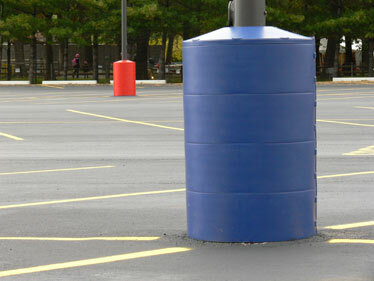 Parking lot pole lighting brings safety through visibility to your outdoor spaces. Parking lots, walkways, patios, parks and streets are only a few examples of the type of areas that could benefit from outdoor light poles. These should be constructed of a durable material and, if possible, a protective finish that will withstand the elements over a long period of time. An equally important consideration is the type of fixtures which can be mounted upon the pole. It is important to consult a licensed electrician to determine the proper footing for your area before moving forward with an outdoor light pole project. If this is your first time to attempt an outdoor lighting pole project, it can be overwhelming. 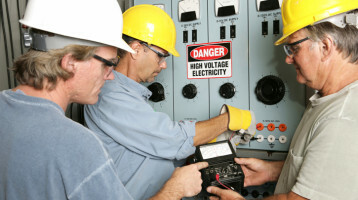 There are many options out there, so let our experienced commercial electricians guide you step-by-step through the process of acquiring everything you will need to illuminate the outdoors, or fix a damaged or defective lighting pole. The destruction can be catastrophic when a commercial parking lot lighting pole falls. Many commercial insurance policies do not offer coverage on collisions caused by wind-blown poles. Vehicles and human life are seriously threatened when something as big as a commercial parking lot light pole crashes to the earth under the force of high velocity winds. Even if the pole fortunately misses a building, a vehicle, or a person, the replacement costs for one or two downed lights is painfully expensive. Because of parking lot regulations in cities throughout the nation, it is not an option to delay replacement until funds become available. Any light pole has to be replaced within stipulated time frames or any business risks penalties for non-compliance and unsafe lighting conditions. Parking lot pole lights are critical to security and must not only meet regulatory standards for illumination, but also strength, resistance, and light distribution requirements as well. Without an advanced technical knowledge of commercial parking lot lighting poles, you may feel anxious when it comes to choosing specific luminaires, determining pole height, and matching fixture and pole EPA value to wind velocities in the area. KDS Electric can help put your mind at ease in determining calculations and project needs to further customize your commercial lot pole lighting project to your precise location, while considering industry regulations and specific requirements. 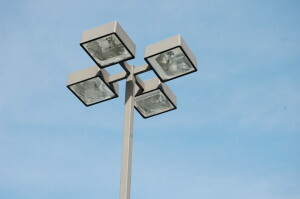 Call KDS Electric today to discuss your parking lot pole lighting installation and repair needs.